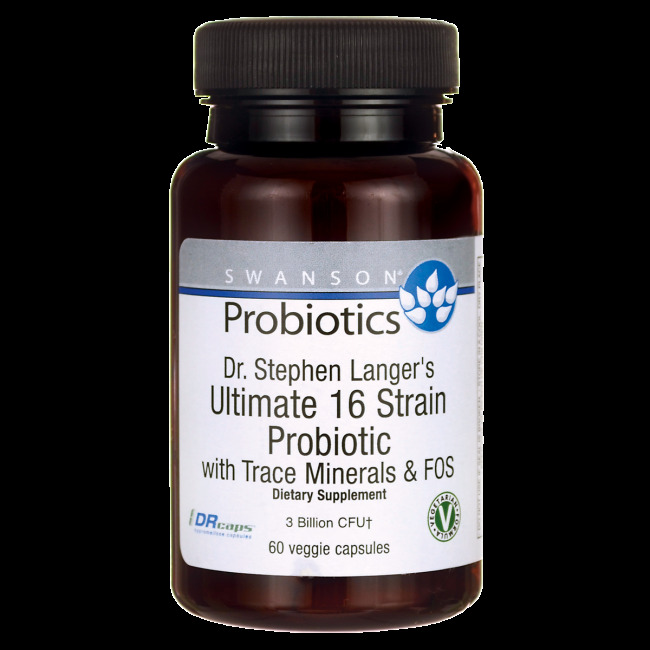 Our body is a natural environment for hundreds of microorganisms that are extremely potent and have unexpected capabilities. 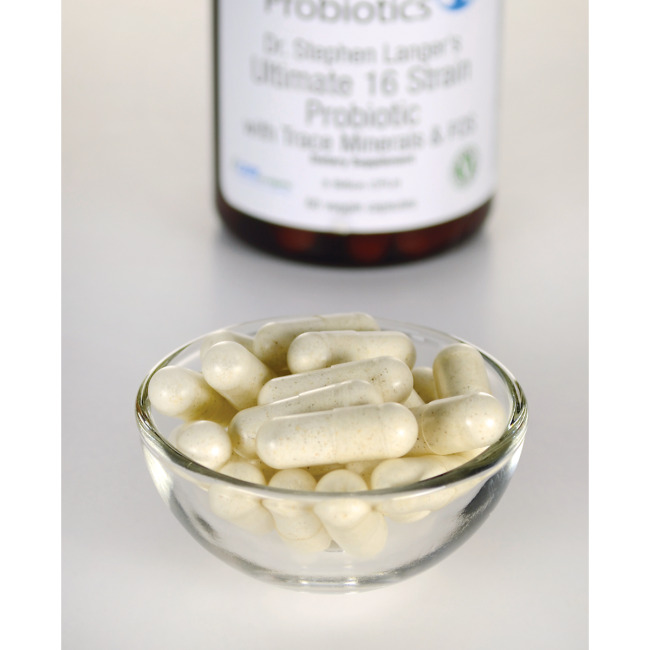 Some of them we call ‘good’ – the probiotics. They are crucial for maintaining a healthy environment in our body. They facilitate digestion, increase our resilience to viruses and bacteria, and strengthen the immune system. It is already established that probiotics intake is a must when receiving antibiotic treatment, but this is not the only case – our stressful life requires daily intake of such supplements as part of our healthy diet. 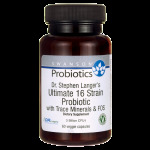 Dr. Stephen Langer's Ultimate 15 Strain Probiotic pushes back the limits compared to other probiotic supplements because it contains prebiotic FOS and ConcenTrace® trace elements. 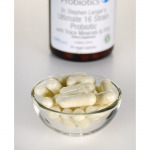 Prebiotics and trace elements are of paramount importance firstly due to the fact that our daily diets lack most of them, and secondly because they are absolutely essential for enzymatic processes required for good digestion. Other ingredients: Microcrystalline cellulose (plant fibres), hypromellose (vegetable capsule, gellan gum), alfalfa, may contain one or both of the following: magnesium stearate, silica. Directions for use: As a dietary supplement, take one vegetarian capsule per day with water or juice. Can't beat the quality and convenience of this one capsule a day probiotic. Get it on buy one get one free for a great price.